As well as huge live HORSE CONCHS with several colonies of different hitch hikers making their home. Sylvia from PA was thrilled to find quite a few empty FALSE ANGEL WINGS. It was an ANGEL WING kind of day! They may not look like much here in this next photo, but trust me… they are very special finds when they have just come out of the water still little dingy and packed with mud with both halves still together. These were only just a few of all the ones we found. It was so cool! Sally, Kathy, Lynda and Mary from MI were some of the lucky ones to have gotten handfuls of them. Lynda also found some other favorites too. Carrie and Valerie (KY) couldn’t help but stay in the water to hunt for treasures. They were both finding ANGEL WINGS plus some other awesome shells. Rock hounds from Michigan- Nicole, Joe and Steve were happy to hunt for gems in the warm clear water. It was so much fun hearing about their PETOSKY STONE treasure hunts compared to hunting for shells. Thanks for the lesson! They found a variety of goodies but I especially loved Nicole’s JUVENILE SOUTHERN QUAHOG with the zig zag pattern (bottom left). When the Southern Quahogs get older, they lose that great pattern so its always fun to see it at this stage. Kathy from NC was a-dorable all dressed in her aqua and shelling sister tee. So much fun to meet you! And talk about a-dorable… real true shelling sisters Cindy (Ohio), Teresa MD and Margie (Ohio) are only 3 of 7 sisters… with 7 brothers. They are the sweetest happiest gals and it was a pleasure to meet y’all! Local sheller Deena found a bucket full of double SUNRAY VENUS shells. Thank you for coming with us Deena- just know Im thinking about you this week. Vanessa, Ana, Marta and Alice came to SW Florida all the way from California to find shells… and they were ready! Ana, it was so much fun to compare notes with you on some of the shells and beach adventures. Shelley, Kianna and David (MI) were very lucky that the water was so calm and clear to have spotted a huge perfect ANGEL WING and to get it back to the CAPTIVA CRUISES dock safe and sound. It’s always fun to meet families that shell together like Eddie, Bill, Donna, Isabella, Steve and Michele from Delaware. They all have great shelling eyes that they must have gotten from Donna. They had asked me where they could find WENTLETRAPS on Cayo Costa and I told them they were there but we don’t find the very often on that island. Low and behold Donna found a WENTLETRAP and her granddaughter Isabella found one too. Isabella inherited her gramdmoms shelling eye! Congratshellations! 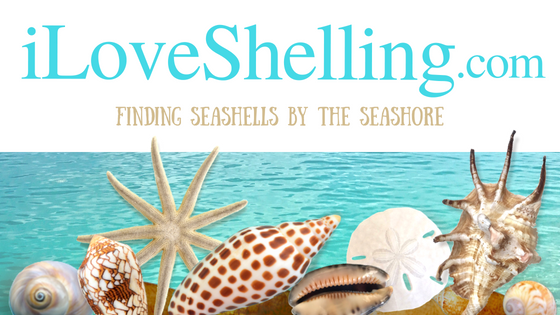 Join me for a Shelling Adventure CLICK HERE ! Water like glass — how lovely! Thankyou, Pam for an unforgettable morning out at Cayo Costa. You are a great teacher and your enthusiasm is contagious. I can’t wait to go out with you and your team again! Also, thankyou, for your kind words and great vibes! Do those false angel wings come out all-white when you clean them up, or do they have a little brown and/or purple color on them? I have only every seen all-white ones. Hi Susan! They clean up beautifully to a bright white. Love the Two Spined Sea Star. That one is new to me. Any chance that you could do a comparison of all of Sanibel’s Sea Stars? The water and the beach treasures were all awesome I must get on that cruis.